Last month, I advocated on using live dashboards instead of finding creative ways to make PDF copies. At that time, PDF export was not available in Data Studio. Since that post, Data Studio went out of beta(woohoo!) and also launched support for PDF export! After I had published the blogpost, a number of users reached out and commented on why PDF is still needed in the business world. Some of the use cases were eye openers as I had not considered them before. In this article, I’ll talk about the use cases where I think using PDFs is sensible, if not essential. Visit the support site to learn more about the feature and how to use it. If you have feedback about it, you can let the team know at the official feature request tracker. Customer is the king. Whether it is an external or internal customer for you, if the customer wants PDFs and you cannot convince them otherwise, you have to create and distribute PDFs. And given the ubiquitous usage of PDFs and their prevalence in the industry, it would be common for your customer to be adamant about receiving a PDF copy. You are not the dashboard owner. Someone else developed the dashboard you are viewing. And the dashboard owner could have done a better optimization job. Every time you open the dashboard, it takes an unacceptable amount of time to load and display data. This is where PDFs are useful when you just want to lookup one or two quick pieces of information. You are connecting to a data source that does not support historical data. Perhaps it is a REST endpoint for a service that provides data for only last 28 days. You find an interesting trend you can use in your next performance review. But the performance review is not due in next 4 months! A PDF copy of the report will be better than a screenshot and will make sure you have the information when you need it. You are planning to get some work done on your 4 hours flight but you are not sure if the on-board WiFi will work. You definitely need to get some insights from the dashboard to write the result summary that’s due tomorrow morning. Having a PDF copy would be handy here. Rafiki from sales made an awesome regional sales report. You want to show it off to your marketing teammates in the next meeting to highlight the awesome work they are doing. Even though Rafiki has no problem sharing the report and data with you, you need to complete 2 different forms and get authorization from 5 different people to get access to the data. Then your manager and their manager needs to sign off on the ACL and the changes in the system will take a week to propagate. And oh, make sure you complete that mandatory training also. All of this because of one ‘sensitive’ table in the last page of the dashboard that is not even relevant to you. PDF anyone? My most favorite use case! You are planning to create a static infographic, perhaps for print media. You plan to do a lot of touch-ups and post-processing using vector editing tools (e.g. Inkscape, Illustrator, or Affinity Designer). 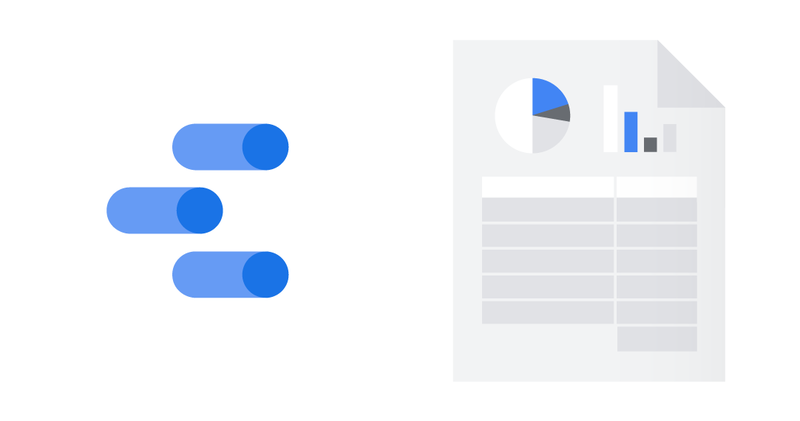 Data Studio PDF export will give you vector versions of your charts in the PDF file that you can import in your editor. I still strongly believe that you should always try to advocate for live dashboards. However, I agree that in certain cases, PDF becomes the only option you have to live with.